I haven't done much punch art lately but I found the perfect opportunity last week. Stuart's cousin, Georgia, was 3! She just loves Peppa Pig! 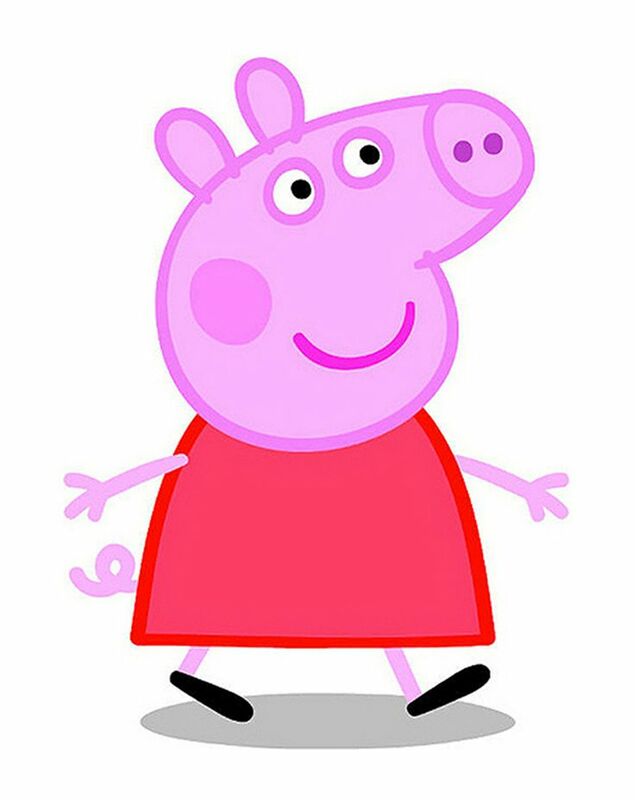 I thought I'd just include a picture of Peppa for any of you who have no idea who she is. Has Peppa made her way over State-side? Isn't she cute? She looked pretty simple to make but the head was going to be the most tricky! So, the head, I eventually decided the best way to do it would be to make a template with the 1 3/8" circle punch and the modern label. I then drew around it and added a curve under to make the correct shape that I could hand cut out. I didn't have a circle punch of the correct size for her nose so I freehanded mine but I think the 1/2" circle would work a treat. 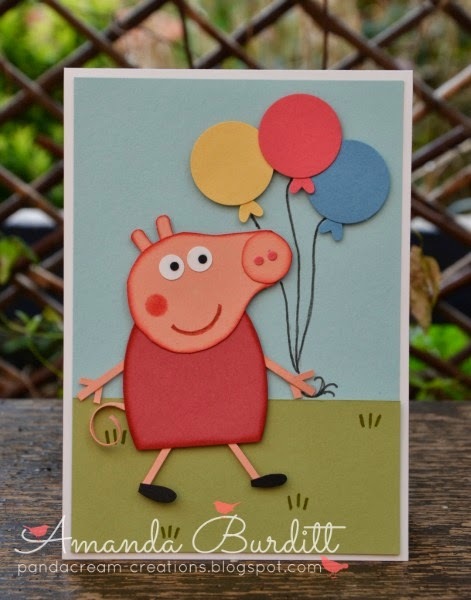 Peppa's eyes and nostrels are made with the ever so handy owl builder - notice the owl punch was also used for the balloons! I also used the owl punch for a mask that I lightly sponged the cheek in. Her ears and feet are actually from the 4 petal flower with two petals snipped off. The legs and arms are thin strips - couldn't be easier! Same for the tail, I just twirled it around a thin stick to curl it! I love her cute tail! Inside I wanted to add Georgia's age - I think its a cute touch on a kid's card! 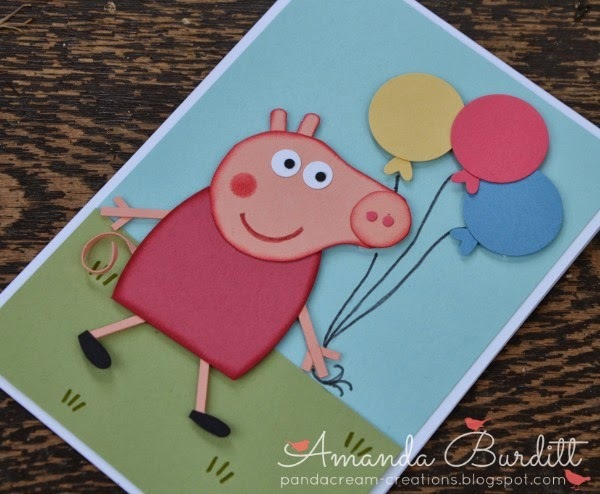 Hope you enjoyed my version of Peppa! Yes, she has my 3 year old loves the show and your card. Thanks for sharing. 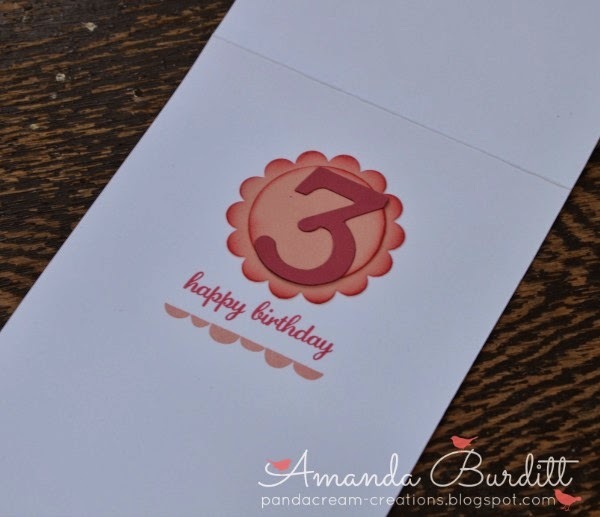 This is so adorable and quite inventive on your part! My kids are too old to watch Peppa, but we have seen advertisements on tv so she must be popular here too!